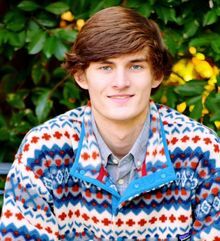 Jack Richard Fleischer, 19, of Columbia, South Carolina went to be with his Lord and Savior on July 6, 2018. Jack was born in Longwood, Florida on June 29, 1999. An AC Flora graduate in 2017, he was a student at Anderson University studying Youth Ministry. Jack was a proud Eagle Scout and he loved being outdoors. He was a member of St. John's Episcopal church where he enjoyed being part of the youth group and serving as an acolyte. Jack was also on staff this summer at Camp St. Christopher on Seabrook Island - something he had dreamed of being since he was a young camper. Jack loved playing the tenor saxophone in the marching band, he loved being part of the DYLC (Diocesan Youth Leadership Council) in the Episcopal Diocese of Upper South Carolina, and he loved being with his friends. He was a great friend, with a generous and loving spirit, and he was surrounded by equally beautiful friends that he cherished. Jack is survived by his parents, the Reverend Scott and Mrs. Victoria Fleischer, along with his sister Isabella and brother Samuel. The Fleischer family are joined in grief by a large and loving extended family around the world, as well as by Miss Emily Caylor, whom Jack loved. A Celebration of Life will take place on Saturday, July 14th, 11:00 a.m., at Trinity Episcopal Cathedral in Columbia, with a reception to follow. Jack's favorite holiday was the 4th of July, and he loved wearing red, white and blue, and crazy clothes with flag motifs. His family and friends will be wearing red, white and blue, and all guests are encouraged to do the same. Arrangements by J. HENRY STUHR INC., WEST ASHLEY CHAPEL. In lieu of flowers, the family requests donations be sent to St. John's Episcopal Church, Youth Ministry Scholarship Fund, 2827 Wheat Street, Columbia, SC 29205. Scott, Victoria, Isabella, and Samuel, I am so, so sorry for your loss. Jack helped me move Nici's dad into his assisted living facility before her dad passed away. He was such a nice young man, and I was so sorry to hear about his passing. You are all in our prayers, and I am so sorry for your loss. I can't wrap my head around your loss. There are no words, no comparison to describe the pain you must be feeling. Through tragedy, even though we cannot see it at this time, our Lord is glorified. Especially when a young man, such as Jack, committed his life to serving Him and he then gets called home before he could beginso we think. Though called home at early age, your son had already touched so many young (and old) lives and will continue to do so in many years to come. His ministry had already begun and that is his legacy.